Ahhhh, Martin Longbottom is heading to New York next week when he arrives courtesy of UME Toys to NYCC with Tenacious Toys hosting this cheeky chappie! Entirely developed, sculpted, moulded, cast & hand-painted by Rich Page, Martin Longbottom will bring a smile to your face any day of the week! 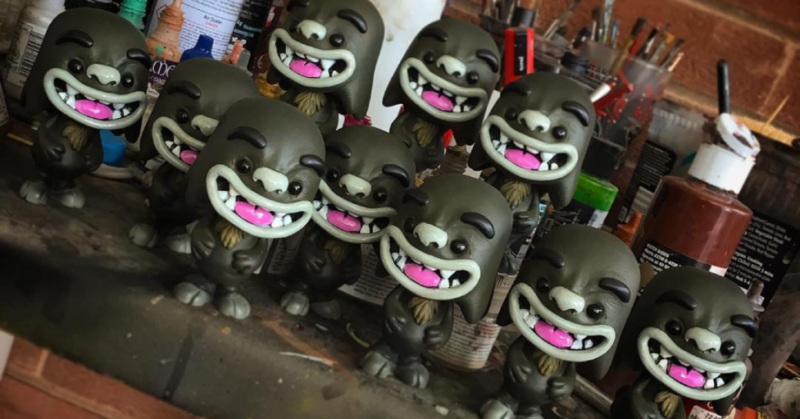 Limited to only 10 pieces at NYCC, you’ll be able to locate Martin Longbottom on the Tenacious Toys booth #780. Standing at 3inches tall, Longbottom will be available for $45 (£34). Longbottom will come bagged with a header card and sticker.